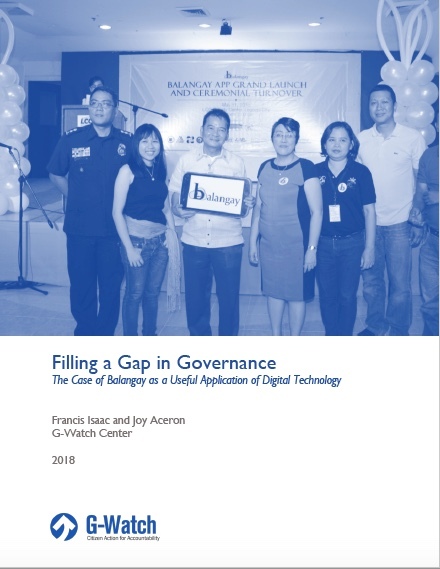 This short paper briefly looks at Balangay and how it was developed as a useful application of digital technology to address a specific governance problem of Legazpi City. It also examines the challenges that Legazpiitfaces in enabling strategic collective action to promote responsive and accountable governance. In a nutshell, Balangay is a cloud-based information system that aims to provide “prompt, reliable and understandable information” regarding various natural disasters that may threaten the Legazpi City, such as typhoons, flooding, landslides, earthquakes,and volcanic eruptions. It comes in the form of a web and mobile app that is meant to help prepare the City’s residents for any possible calamity. Challenge: Will it Enable Broad and Sustained Citizen Collective Action?